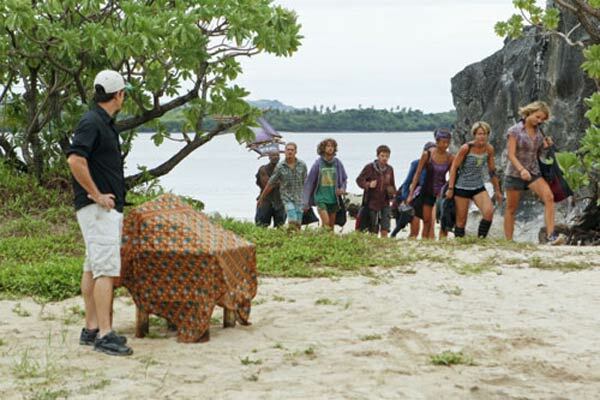 Survivor Caramoan, "Operation Thunder Dome"
After last week’s meltdown from Brandon, it’s so refreshing to watch everyone return to focusing on the strategic side of the game. Crazy behavior makes for good TV, but Survivor works best when players are scheming to try and gain an edge. Both groups return to camp shell shocked after Brandon’s outburst, but most are ready to move forward. Corinne and Phillip are upset about getting thrown under the bus, yet both should have time to recover. This prospect becomes more likely after the tribal swap, which gives a 4-3 edge to the favorites in each new group. Instead of looking for a way to flip a favorite, the fans are more than willing to turn on each other. This is not a good idea. The new Gota tribe is loaded with arguably the seven physically strongest players left in the game. They’re also the better-looking group, at least according to Eddie. His priorities are a bit skewed away from actual game play. When the immunity challenge is all about power, it’s clear that this group is going to walk away with an easy win. 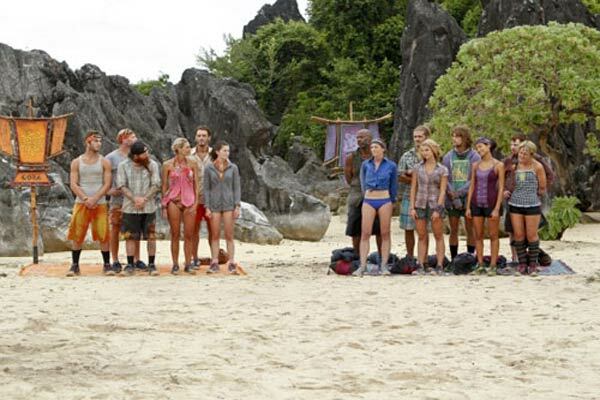 Julia seems most likely to leave because of challenge weakness, but Matt is the bigger threat and is heading home. Gota includes Malcolm, Erik, Reynold, and Eddie along with Sherri, Brenda, and Andrea. 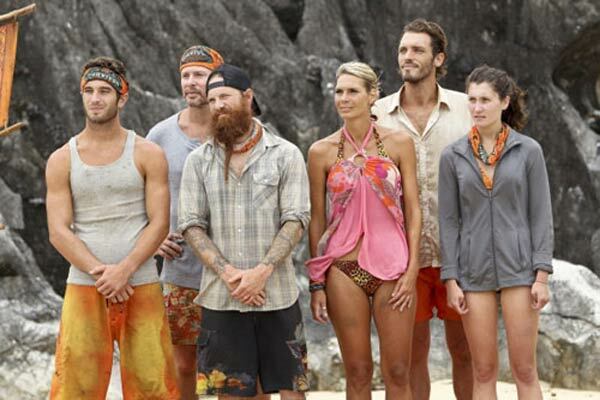 That’s a filthy team that should have the other tribe begging for the merge. Reynold and Eddie immediately start gunning for Sherri, and her sights are right back at them. This is wonderful news for the favorites, who gain a greater numbers advantage with either exit. In the original Fans vs. Favorites season, the fans lost their edge after the tribe swap and never recovered. They may have a similar fate in this outing. The outgunned Bikal has Corinne, Phillip, Cochran, and Dawn teaming up with Matt, Michael, and Julia. With the exception of a ridiculous Phillip, they’re likable but hardly ready to compete in physical challenges. Matt and Michael will do anything to stay in the game, but they seem too united for Cochran’s tastes. He wisely recognizes the danger of pairs after the merge and pushes for Matt to leave. This is disappointing because Julia is so dull; a wonderfully snarky Corinne even calls out her boredom when considering the vote. Matt is the most interesting fan in this cast, so it’s devastating to see him exit. There’s little that he can do against superior numbers, and even nastiness between Corinne and Phillip isn’t enough to change the vote. This episode works because there are so many new interactions among the cast. Phillip immediately starts talking to Julia and is ready to induct Matt and Michael into “Stealth ‘R’ Us”. Playing this hard and over the top provides comic relief, and it’s clear that the editors are setting Phillip up for a big fall. Corinne has a great time with Matt and Michael, who she repeatedly calls “the gay” in a strangely flattering way. She’s all over this episode and has plenty of barbs, including comparing Phillip to a baby on a plane with diarrhea. Corinne hasn’t said much during the first five episodes, but she has a big personality that comes out in confessionals. Though she’s annoyed with Phillip, Corinne recognizes that he’s trustworthy and wants to stick with the plan. No one seriously considers flipping to the fans, which shows the difference with returning players. They recognize the importance of numbers and can ignore petty reasons to take out a rival. If the fans don’t find cracks in the favorites pretty soon, there may be no coming back against the superior forces. The immunity challenge is familiar and all about being able to flip over large crates quickly. It exposes most of the new Bikal tribe as much weaker than their opponents. Brenda and Andrea are pretty small, but they show their skills and roll through the end. On the other side, Julia and Dawn have problems even moving the crates, and Cochran isn’t much better. There is a puzzle to close it out, but Gota rolls to victory. Rarely has a tribe in Survivor history been so stacked with challenge monsters. It’s going to take a different type of challenge for Bikal to have a chance. Their saving grace could be a merge, which might happen as soon as two weeks from now. If it gets delayed for too long, comfortable players among the favorites could be in trouble. Strategy rules the day, so wise players like Cochran should be fine. His choice to take out Matt is smart and removes a formidable opponent. There doesn’t seem to be a major issue with keeping Julia around for another few days. Matt’s exit is a surprise because the editing clearly points to Julia being history. She randomly targets Dawn and seems lost when strategy comes into play. She does get a rare confessional, which hints strongly that she’s heading for the exits. 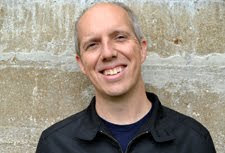 Matt was instrumental in several previous votes, and he was a top choice to compete with the favorites after the merge. If Bikal loses next week, the question is whether Michael will follow his ally out the door. Julia may be such an easy vote that she can stick around for a while. A Gota loss would provide a more intriguing episode and force them to remove Sherri or Eddie. Despite what the editing suggests, the favorites are unlikely to make a change until it’s absolutely necessary. Unless the fans make a dramatic change and start playing harder, they’ll all be visiting the Ponderosa well before the final Tribal Council.